On Saturday, we descended on the brand new Fitler Club for an electric 50th birthday party celebration! When we say “brand new” that’s exactly what we mean! It’s the first social event at the Fitler Club and the first event ever held in The Trophy Room! This super chic members-only lifestyle club opens a new chapter in special events here in Philadephia! 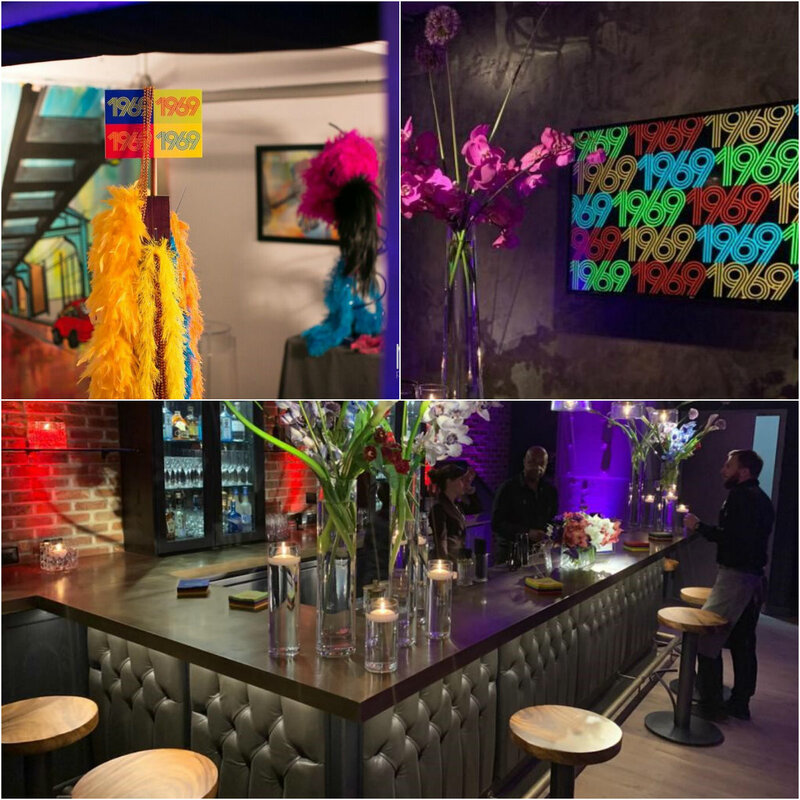 What a thrill to once again partner with Daniel Briones, Director of Operations at the Fitler Club, to bring our client’s playful birthday party to life! The overall vibe for Saturday’s birthday party was very 1980’s! Playful, laid-back, and energetic, this shindig was ideally suited for The Trophy Room’s game-style set up. Pool tables, bowling lanes, ping pong, and other arcade games brought on the FUN! We added some vinyl, Rubix cubes, Pez, crazy glasses to the mix. As well as splashing around plenty of bold, neon colors for some not-so-subtle 80’s nostalgia. Graphically, we used the birthday boy’s birth year of “1969” on everything we could. Including, cocktail napkins, TV screens, and other party details to bring the theme full-circle. Executive Producer, Robert Canada, and Technical Director, Kevin Levis, designed and produced this fabulous 50th birthday to perfection! As usual, nothing was overlooked! Well done #TeamEvantine! Take a Look at the Party! Here’s a quick peek at Saturday night’s celebration. Photos taken and graciously shared by mk Photo with additional shots provided by Robert Canada. You Can Host Your Event at the Fitler Club! Located in the heart of Center City, the Fitler Club combines best-in-class social, hospitality, business, and wellness elements into one cohesive offering. With high-end design throughout the high-end lifestyle club, stylish cuisine by Kevin Sbraga, a former Top Chef originally from Willingboro, and its exceptional location, the Fitler offers a work/play atmosphere unlike anything in Philadelphia! Think about hosting your next event at the Fitler Club, it might be just the party hot spot you need!